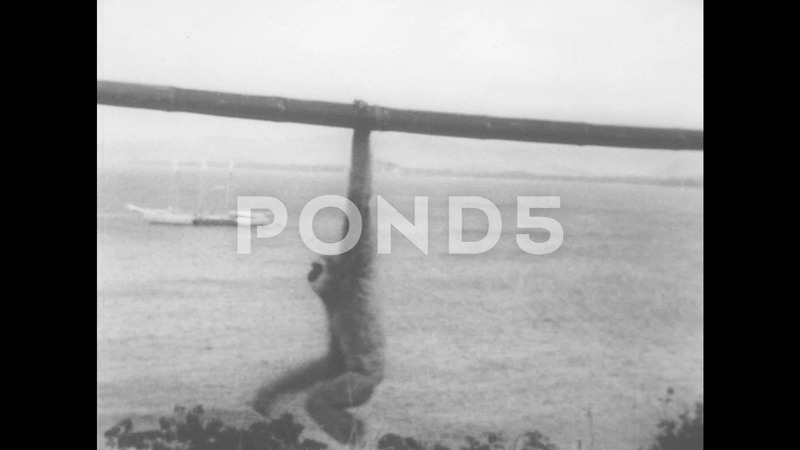 Description: 1940s: Primate Swings Across Pole, Then Stops. Primate Hangs From Pole. Primate Swings Across Tree Branches.